He wasn’t alone. 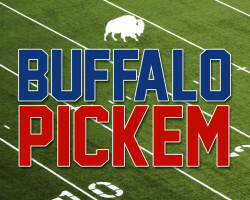 81% of participants picked the Bills. Of 39 tiebreaker answers used to determine 4th through 10th place, nobody went under the correct total of 369 yards. 4th place said 370. 10th place said 448. The losing answers ranged from 452 through 750.